According to the initial report produced in December 2014 by the Review on AMR, chaired by Jim O’Neill, up to 10 million people per year could die by 2050 due to antimicrobial resistance (AMR), compared to an estimated 700,000 deaths per annum currently. 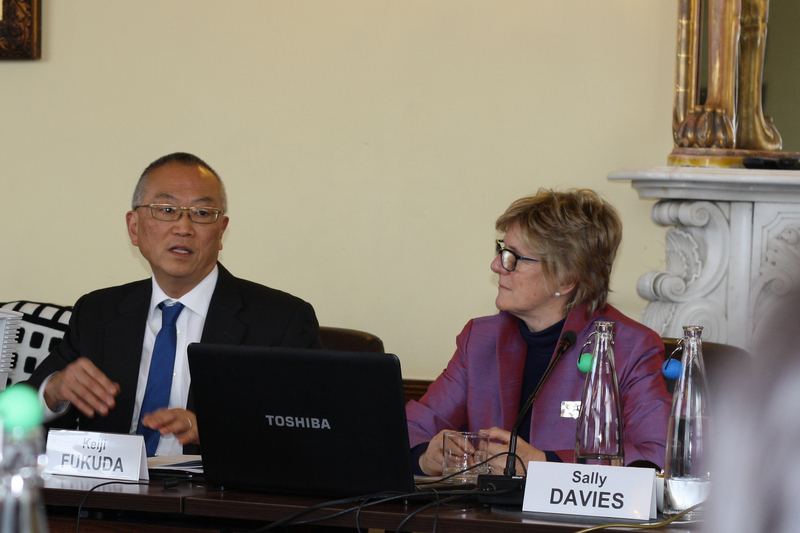 Wilton Park convened a meeting to discuss the global threat posed to human health by antimicrobial resistance. In partnership with the FCO, and with additional support from the Food and Agriculture Organisation the meeting provided a unique and innovative platform bringing together medical, veterinary, and scientific experts together with representatives from health and livestock ministries primarily from low and middle income countries; 24 countries in all. The urgency of the issue provided focus for our meeting. Discussion highlighted how action can be taken to tackle AMR at the national level, and heard about early lessons and challenges being faced by a range of countries including South Africa, China, India, Thailand and Ghana. Through working groups participants identified ways that countries can build their national programmes and the collaboration needed between those working on human and animal health, and agricultural and communities in tackling AMR at the local level. Lessons include the role of national champions in securing top political buy-in, creation of platforms where national strategies can be developed and implemented (involving government, animal/human health, private sector and civil society). Much more data and research is needed about the levels of AMR in animal and human populations, significant increases in surveillance and monitoring, and a greater focus on prevention through infection control protocols as well as more careful prescribing of existing antibiotics. The meeting also contributed towards the international efforts to secure a Global Action Plan to combat antimicrobial resistance to be submitted to the World Health Assembly in May. This event continued our series on global health challenges, with a meeting at the beginning of March focusing on viral hepatitis in Asia. There is now a revolutionary opportunity to treat hepatitis B and cure and eliminate hepatitis C through the development of new drugs. Innovative thinking will be needed, however, to scale up access and treatment. Those co-infected with HIV and viral hepatitis, and the advocacy surrounding the HIV community, can be pathfinders for the development of national approaches to hepatitis in the countries most affected. This meeting was held in partnership with Sir Richard Feachem, Director of the Global Health Group UCSF Global Health Services with whom we have worked on health issues since 2002, and Gilead Sciences Inc. It was the first Park event we have held in Singapore. Next in the global health series will be a meeting focusing on Rebuilding health systems in West Africa and the role mobile technology can play (15-17 June), and a further meeting on Malaria elimination focusing on the countries in the Asia-Pacific and Southern African regions which are closest to elimination (30 September).